Be ready for winter or an unexpected cold snap with this high-quality Reconnect Rochester knit cap. The three-inch folding cuff comfortably folds over your ears. Choose the plain beanie or the adorable pom pom. This hat is so darn warm and snuggly you’ll want to pull it down over your entire face. But don’t. You’ll miss your bus. 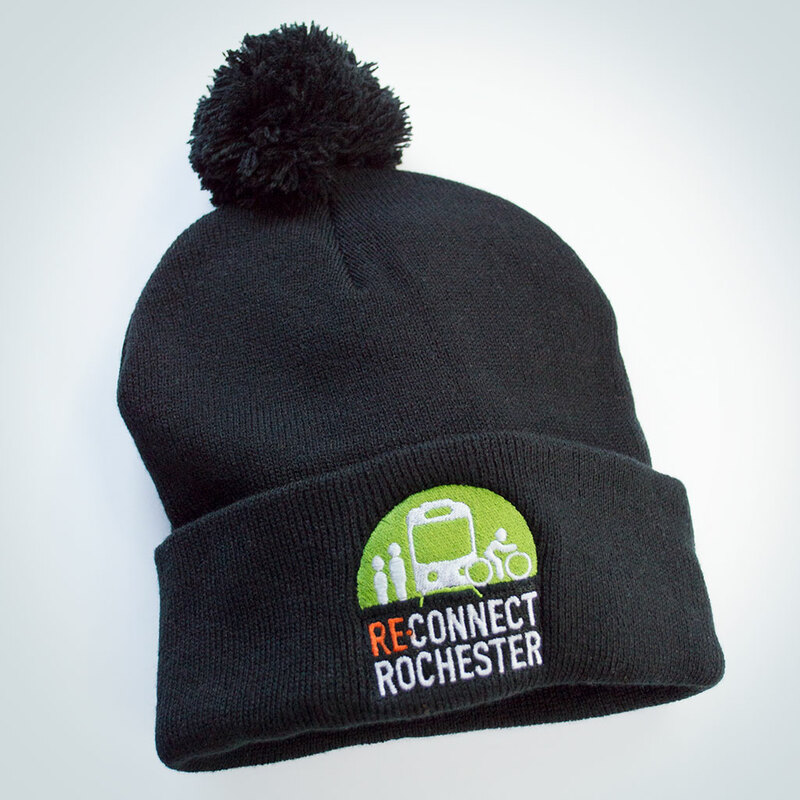 Be ready for winter or an unexpected cold snap with this high-quality Reconnect Rochester knit cap. The three-inch folding cuff comfortably folds over your ears. This hat is so darn warm and snuggly you’ll want to pull it down over your entire face. But don’t. You’ll miss your bus.